Rewa continued to prove their dominance upfront as blindside flanker Ramio Ratuvou scored their second try in the 19th minute and was converted by Seru Vaniqi. 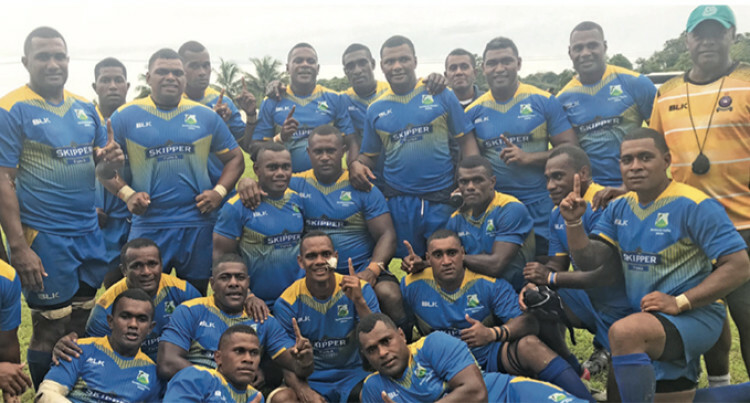 Newcomers Northland established their first win in the Skipper Cup Premier beating Rewa 16-12 at Burebasaga District School ground, Rewa yesterday. Rewa started well in the first half as they enjoyed more possession and played well at breakdown areas and scored their opening try in the 4th minute through prop Pailato Tidaku. Scrappy play from Rewa in the last eight minutes of the first half cost them as Northland capitalised on a loose ball worked hard on their drive and scored their opening try in the 32nd minute through loosehead prop Fifita Toma and converted by Etonia Rokotuisawa. Rewa led 12-7 at the breather. Indiscipline crept in the home side in the opening minute of the first half which awarded Rokotuisawa an extra three points. Rewa continued to punish themselves with foul plays which gave the opportunity for Rokotuisawa to kick his second penalty for the day and gave Northland a 13-12 lead. Rewa only had themselves to blame with scrappy defence play and in- discipline which continuously costs them. Rewa Women thumped Northland 51-0 while Northland U19 beat Rewa 10-6.